Released the same week in December 1971, Cassavetes' film gives Harold and Maude a serious run for its money in the unlikely-screen-couple stakes. 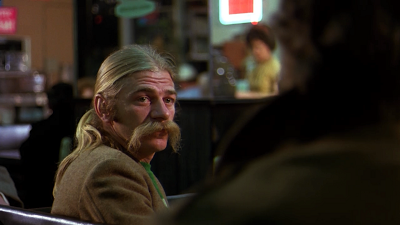 The early going introduces us to the leads in parallel -- Seymour Moskowitz (Seymour Cassel) is a New York car park jockey who decides, for no particular reason, to head west to LA, where he eventually encounters Minnie (Gene Rowlands), a museum employee dealing with both the unrealistic romantic expectations she feels the movies have given her and the attentions of, among others, an abusive, married man. As mismatched as the pair seems -- they seem to be at odds far more than they are in agreement, though this may well be an accurate reflection of the Cassevetes-Rowlands union -- the individual interactions are wonderfully authentic: the indelible crazies of the New York night, the wine-soaked girls' outing that reveals some of Minnie's deepest concerns, Moskowitz's caffeinated take on everything from ordering a hot dog to parking a car (the bull-in-a-china-shop impression has much to do with the clash of coastal cultures). 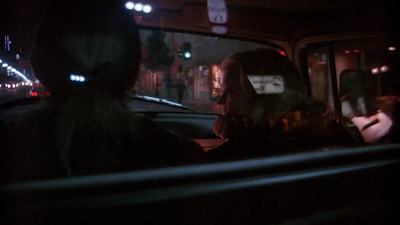 It's a high-wire act at times, too, particularly in the sequence where Moskowitz hopes to take Minnie dancing: an argument seques into a transcendent moment when the couple dances to the sound of a car radio, before the wheels come off again. Best of all, perhaps, is the moment when Moskowitz's moustache, which should have its own credit, unexpectedly and hilariously becomes a plot catalyst.